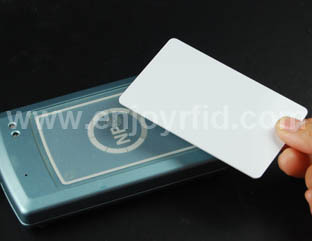 Among the RFID CARD applications are consolidated on the "Access Control", the "payment systems", "management of the Libraries ', l'" Identification and control of farm animals. "These applications are now in common use: access control through RFID badges is on the agenda in many industries; payment systems (credit cards Visa and Mastercard) will contain the short "chippettino" RFID to become a non-contact; the management of libraries is a reality as Lancisiana Library in Rome (Pergamon system); identification of farm animals is a well-known (eg veterinarians 14443A transponders apply to pets, optionally classic tattoo). - For health care: the adoption of traceability systems for patients through the use of electronic bracelet, the adoption of new tools and procedures such as smart cart for drugs or shelf intelligent tracking of tissues for transplantation , medical records, the bags or bowls of blood for transfusion, equipment and fittings (defibrillators, parametric, respirators, etc ...), drugs. - For the scope of the filing of administrative practices: the adoption of traceability systems of practices and folders through the use of smart shelves and gates association between those who "work practice" and "practice drawn" from the archive . Redevelopment of the archives by rearranging the same physical unit with the international standard ISAD (G). - For the management of cultural heritage: the adoption of systems for the identification of archaeological or art to improve the storage of material is not placed in museum spaces, as well as the real-time knowledge of the location of the same assets.